The Rivers State Chapter of the All Progressives Congress (APC) has risen in stout defence of the Minister of Transportation, Rt. Hon. Chibuike Rotimi Amaechi, dismissing calls for his resignation led by the State Chapter of the Peoples Democratic Party (PDP) following allegations by some recently arrested Judges that he tried to influence their rulings on some election petition cases. Rivers APC in a statement issued on Monday in Port Harcourt and signed by the State APC Chairman, Chief (Dr.) Davies Ibiamu Ikanya, insisted that Amaechi is clean and not guilty as charged. 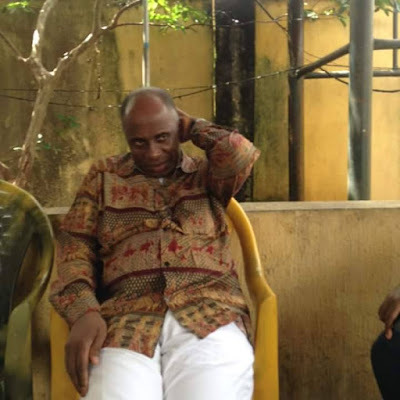 “We are convinced that God, who has always fought for Amaechi, will continue to save and strengthen him and will once again vindicate him,” the party said. It lambasted both Rivers PDP, the National PDP and others who have joined in calling on Amaechi to resign and for his probe based on the allegations of attempted bribery levelled by some sponsored and drowning judges who were looking for a tool to stay afloat as not only vindictive, shameless, laughable, mischievous but exposure of a clique that is so desperate to expose and express their ignorance and evil plots against a man whom they see as the arrowhead that dislodged them from power at the centre. “These calls being championed by the PDP are just the latest manifestation of the party’s frustration and fight against Amaechi in retaliation for his role in dislodging the PDP Government at the centre during the 2015 presidential elections. These useless calls based on the unfounded and baseless attempted bribery allegations against the former Rivers State Governor and the Minister of Transportation confirms our fears and stand that the two discredited Justices made these allegations as part of a political strategy to destroy APC and run down the political fortunes of this rising star. PDP is only acting out its frustration over the key role that Amaechi played to end the corruption system engineered by the past PDP administration at the centre but let us assure the public that this plot has already failed before it was hatched because no sound Nigerian will buy this lame allegation that have no logical stand,” Rivers APC said. The party recalled the failed plots by PDP to deny Amaechi the party’s gubernatorial ticket he won convincingly in 2007 and the efforts PDP also made to ensure that Amaechi was neither screened nor appointed as a Minister of the Federal Republic of Nigeria. “Having failed to deny him the 2007 PDP gubernatorial ticket and to stop his appointment as a Minister, PDP is now sponsoring some unpatriotic, chronic corrupt and confused Judges to start mentioning Amaechi’s name in the hope that doing so will save them from paying for their heinous crime against the people of Rivers State and Nigeria as a whole,” the statement said. Continuing, Rivers APC said: “We wish to counsel the Justices already arrested for corruption to be men enough and face their trial accordingly and leave Amaechi alone. Amaechi’s only crime was that he played a yeoman’s role in the efforts to see to the emergence of the revered Muhammadu Buhari as the President of Nigeria who, imbued with God’s wisdom and strength, has launched an uncompromising war against those who looted our common patrimony who in retaliation are frustrating the economic recovery of our dear country by promoting insecurity in our country. As much as we sympathise with PDP in its failed plot and wild chase to silence and intimidate Amaechi, let us remind them that Amaechi will never be cowed as fighting against him means fighting against God and failure will always be their portion but incase they have forgotten so soon, Chibuike means “God is all Powerful” and “Rotimi” an abridged version of “Oluwadurotimi” meaning “the Lord stands by me”, while Amaechi means “who knows tomorrow?” It is, however, in vain that these chronic looters and enemies of Nigeria are fighting against Amaechi as he is innocent of the charges against him and bound to triumph at the end of the day.